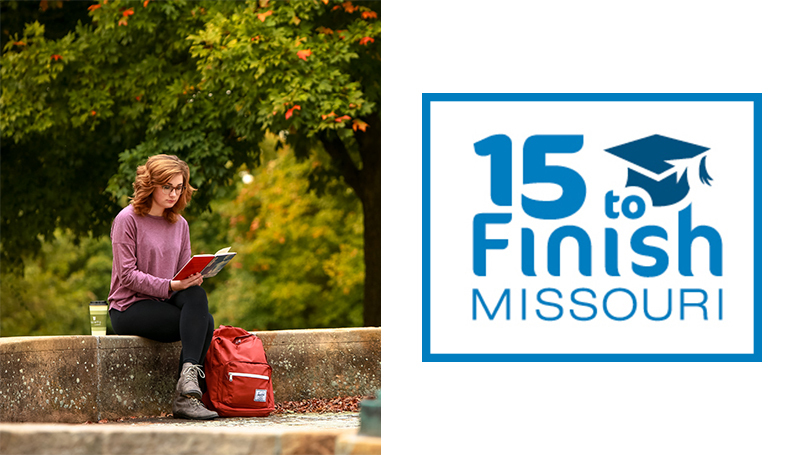 Missouri Southern will join the statewide 15 to Finish initiative, which encourages full-time college students to complete 15 or more credit hours per semester to stay on track to completing their bachelor’s degree in four years. Because 12 credit hours is considered full time by most colleges and universities, students will often take fewer than 15 per semester, according to the Missouri Department of Higher Education. But adding an additional year of classroom time can come at a steep price, considering the cost of tuition, fees, room and board, and the potential lost wages had they been ready for the workforce. Last year, legislation signed into law created the 15 to Finish Act, which calls for the Department of Higher Education to develop policies to promote on-time college completion. Julie Wengert, Dean of Student Success & Support at Missouri Southern, stressed the importance of graduating on time and said that the university will soon begin outreach to students as part of the push. “It’s important for students to know how many credit hours it will take to earn the degree they desire,” said Wengert. “When students do the math with their academic advisor, they are engaging in a meaningful conversation that will help them map out their own path to success. For more information about the program, visit http://dhe.mo.gov/15t0finish.